Spicy Squash Soup is Hot! 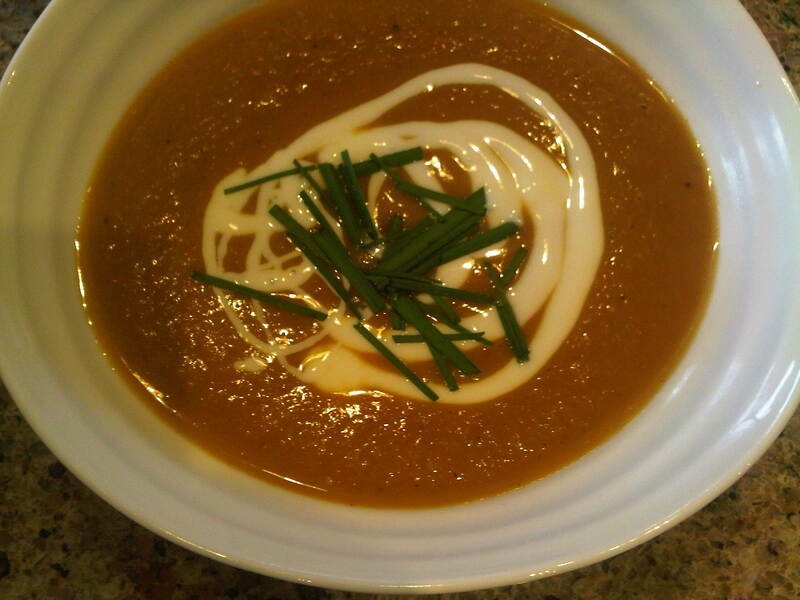 This sumptuous soup started with some spicy roasted squash, adapted from a Jamie Oliver recipe. We took a hubbard squash and cut it into wedges, rubbing them with a mixture of olive oil and some delicious spicy peppers (pureed) from the farmer’s market and a bit of ground fennel and coriander. Roasted for about an hour at 400F, or until soft, we used some of them for dinner and chilled the leftovers in the fridge. 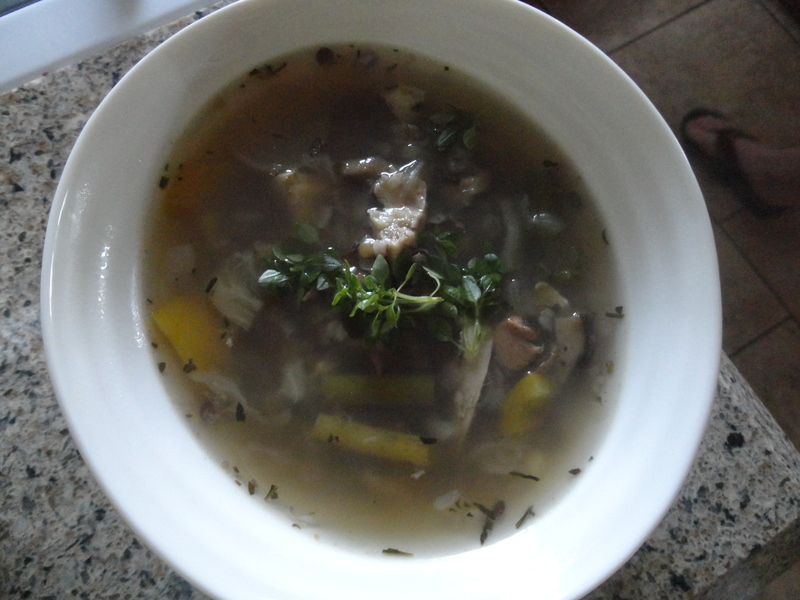 The next day, we took some of our homemade veggie broth from the fridge, and blanched half an onion and a carrot. Then we tipped in the remaining squash and let it simmer til the veg were tender, about 10 minutes. A quick blend with an immersion blender (or a potato masher will do, not quite as smoothly, in a pinch) and it was nearly ready. A cup or so of milk (we used 1% – choose your fat according to your preference) lent a creamier colour. Then we drizzled with a little fat-free Greek yogurt, and decorated with some chopped garlic chives from the urban farm. It warmed us through and through. Author WalkEatLivePosted on September 21, 2011 Categories Cold Day Food, Cooking, Healthy Eating, Recipes, SoupTags cooking, fibre, health, Home cooking, local food, menu planning, neighbourhood, recipes, soup, spicy, squash, vegetarian3 Comments on Spicy Squash Soup is Hot! It's Not Just Leftover Chicken! We had the carcass of the chicken, a leg, and a cob of corn left in the fridge from the other night’s dinner. What to do? Make soup! While we watched t.v., we put the carcass in a large Dutch oven with a sliced onion and set it to boil. We turned it down and let it simmer for a couple of hours, then cooled it down until we could handle it. After that, we removed the meat from the bones. We set the strained broth to boiling again. We added some sliced radish, green and yellow beans, and yellow bell pepper. We also put in a few sliced garlic cloves and a diced onion. For herbs, whatever we had (in this case, summer savory, and a grind of salt). 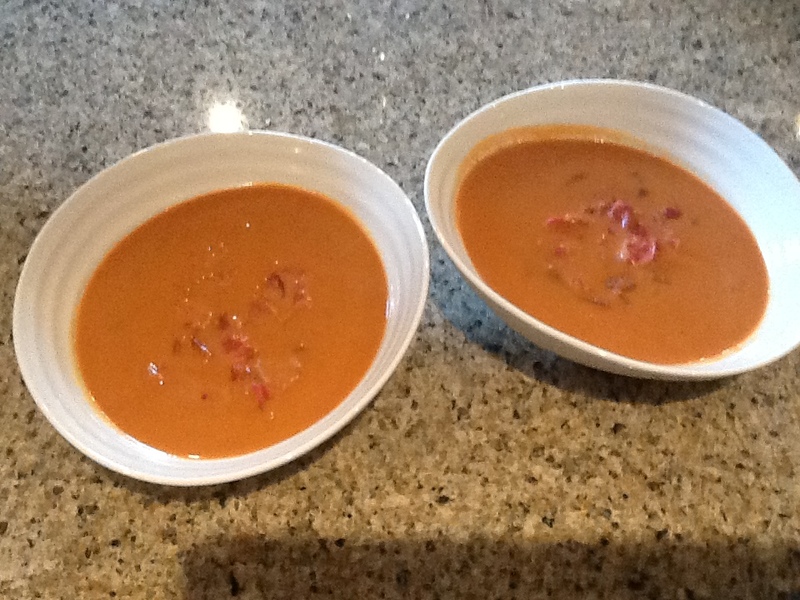 When the onion seemed to be soft, we threw in about half a cup (125ml) each of red rice and Puy lentils. After about half an hour, we removed the corn from the cob, and diced the remaining chicken. This, plus the original chicken, were added back in. What a great meal, all from leftovers. Add some bread and wine, and it’s even good enough for guests. 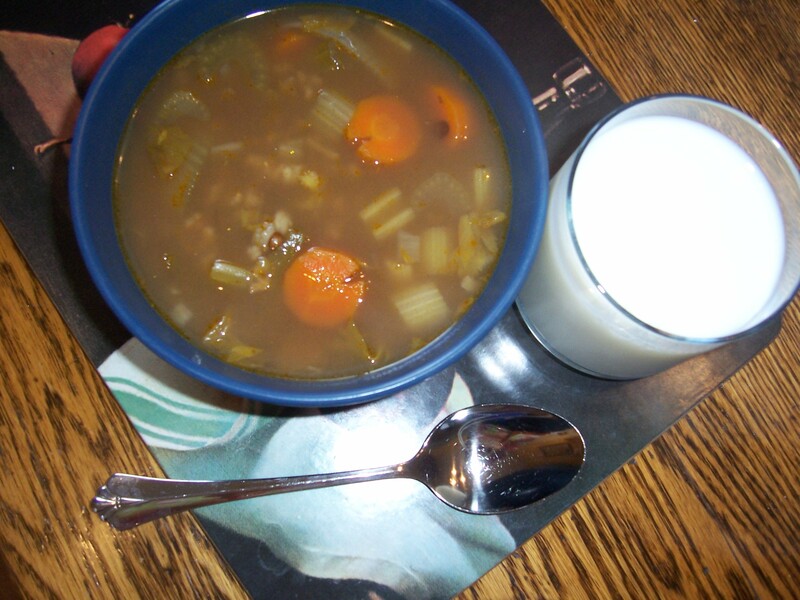 Author WalkEatLivePosted on August 10, 2011 Categories Cold Day Food, Cooking, Recipes, SoupTags chicken, soup, vegetablesLeave a comment on It's Not Just Leftover Chicken! 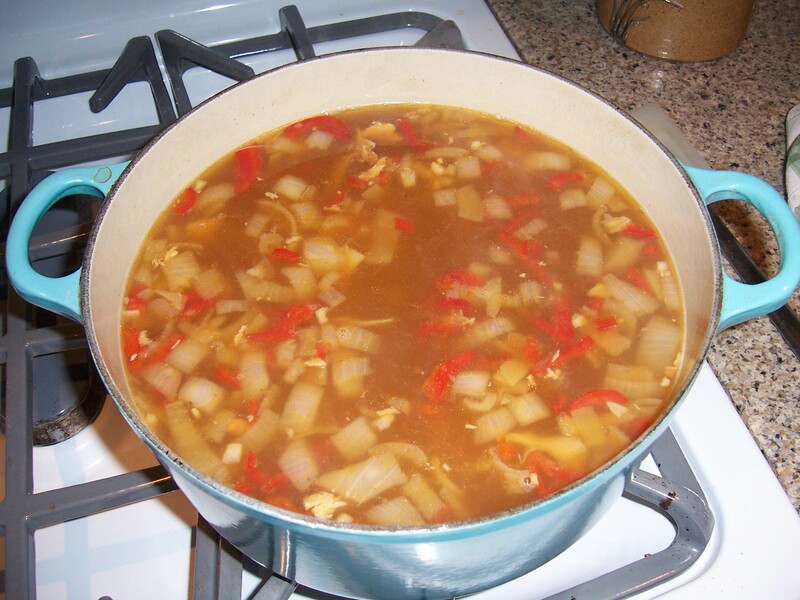 If so, add about 4 cups of water, and simmer in the same casserole. 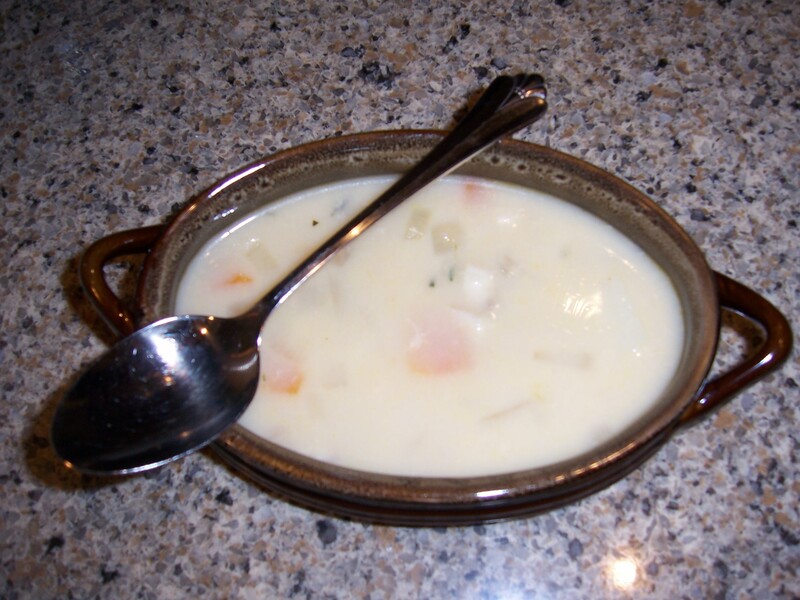 Then cool overnight and use for Next Day Soup. Bring the broth to a boil. Add 1 chopped onion, two chopped carrots, 3 or 4 stalks of diced celery, and a diced bell pepper (I used a yellow one). Add 5ml or a teaspoon of cumin and a dash of hot sauce or cayenne. To this, stir in 25oml or 1 cup each of green lentils (dried) and brown rice (uncooked). Let simmer for about half an hour. Recycled food – better than it sounds!